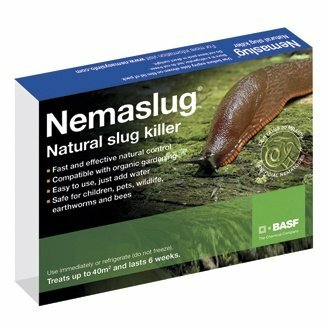 Nemaslug® contains microscopic worms (nematodes) which seek out slugs above and below ground and stop them feeding on your plants within 3 days. 1 application gives 6 weeks of control. - This pack fills 4 watering cans and treats up to 40m2 (50sq. yards).